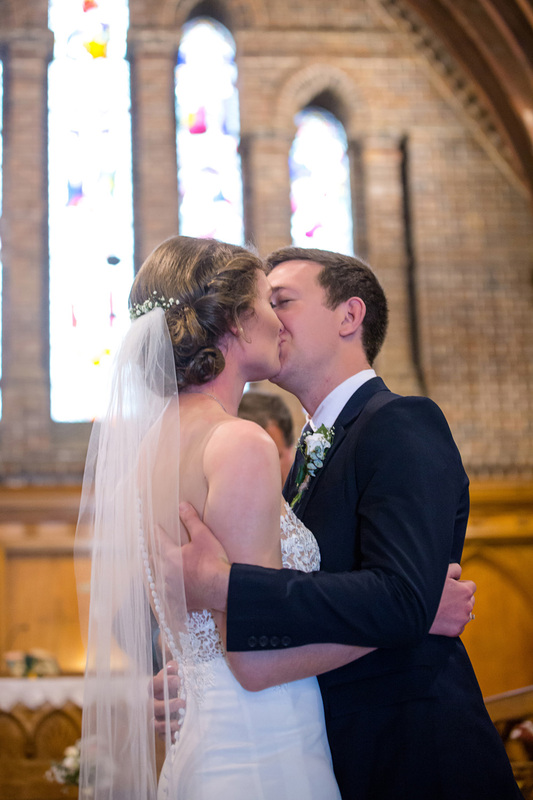 Sarah and Blake chose St Peters Anglican Cathedral in Armidale for their nuptials, followed by photographs and reception at the amazing Saumarez Homestead just out of Armidale. The pair actually got ready for the wedding in houses on the same street – just two doors down from each other! Blake was joined by his two brothers Bryce and Ross and Sarah by close friends Miriam and Bernie. 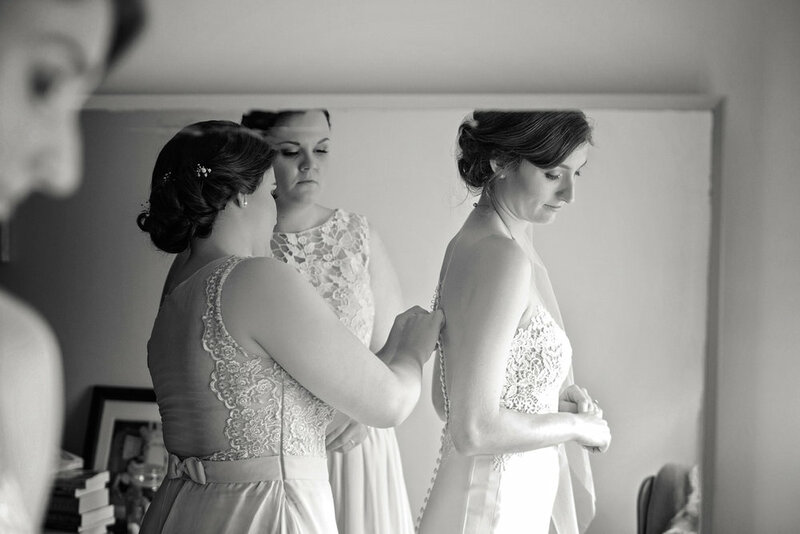 Sarah’s dress was a dream to photograph – an exquisite sheath dress with lace cut-outs around the bodice. When it was time for the girls to leave for the church, two magnificent cars arrived at the house to transport them – a Holden EK Ute which belonged to Blake’s father and a 1930’s Willys-Overland Whippet. The ceremony was held at the beautiful Anglican Cathedral. After the service, family and friends gathered together at the church, while I whisked the bridal party off to Saumarez Homestead for some photographs. Because their bridal cars were so amazing, we had to feature those in a series of shots – the Whippet tied in especially well with the look and feel of the Homestead. After the we made use of the long driveway, the lawn and the gardens adjacent to the homestead for photos. We then made our way down to the Jackson Centre for the reception.